So often there are things we will experience as Boss Moms that might trigger some guilt. Those times when you catch yourself enjoying your business more than your family….that’ll do it! 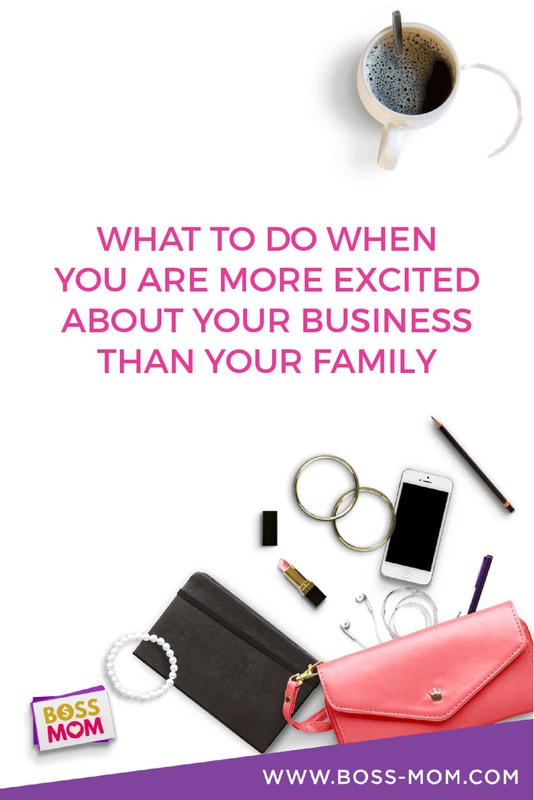 But we believe this subject is totally normal and shouldn’t be taboo, so we’re diving right in and opening up a conversation about what to do and how to deal with those times where you’re more excited about your business than about your family. If you’ve got a question about today’s episode or want to leave us some inbox love, you can email us at hello@boss-mom-sg.local. Or, you can always find Dana hanging out in her happy place, the Boss Mom Facebook Community.